As the name suggests the primary use of a Fleet GPS Tracking System is to pin point the location of a certain asset, typically and most commonly a company vehicle. However, although this is the most important feature the device has many additional uses that are sure to benefit any business. The driver scorecard keeps track of the way the vehicle is being driven and records data such as hard acceleration, harsh braking and whether or not the seatbelt is being worn. These are all very useful things to be aware of both with regards to the drivers themselves and also any superiors. Quality driving with result a number of benefits including less wear and tear to the vehicle and more efficient use of fuel. Another feature of a top quality fleet GPS tracking system is the beeping function. The device provided the driver with a warning beep whenever the system detects an issue such as speeding and high rpm’s. This helps the driver to stay aware of the way in which he or she is driving and make improvements and changes when necessary. Furthermore the tracking system is easy to use and offers an easy to follow instruction guide on first use. Get the latest posts straight to your inbox! We don't just provide another GPS fleet tracking system. We are in the business of providing you a solution. 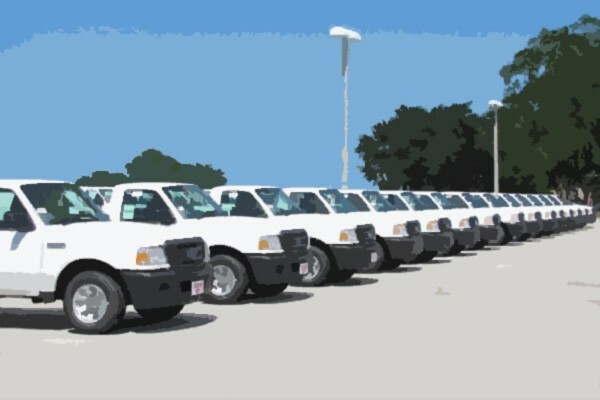 Our fleet consultants work with you to understand your business. We help you implement solutions based on everyday pain areas and industry best practices. Of course it helps having the industry's most powerful and reliable GPS vehicle tracking system, but the real difference is made in our customer service. Let us show you the GoFleet difference. Copyright 2019 GOFLEET Corporation All Rights Reserved.